I imagine that a doctor was called and everything possible done to make Fitch comfortable. Fitch and Sarah’s three living children no doubt drew near. Annette, 21, and Walter, 16, living at home, could have been by his side at once. George, almost 27, had to be summoned. If George was still working as a wagon-maker in Hiram, as he had been in 1860, it was a short ride to Freedom. 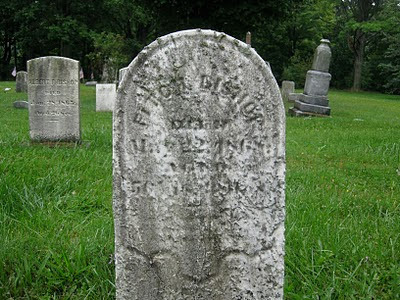 Augusta Bishop, widow of Fitch’s oldest son, Albert, might have brought eight-year-old Theodore to his grandfather’s bedside. Work in the fields and routine household chores likely stopped for a time. Neighbors and friends, alerted to the crisis, might have come by to see Fitch and offer words of comfort to Sarah. But in the end, all they could do was wait. Five days later, Fitch succumbed. 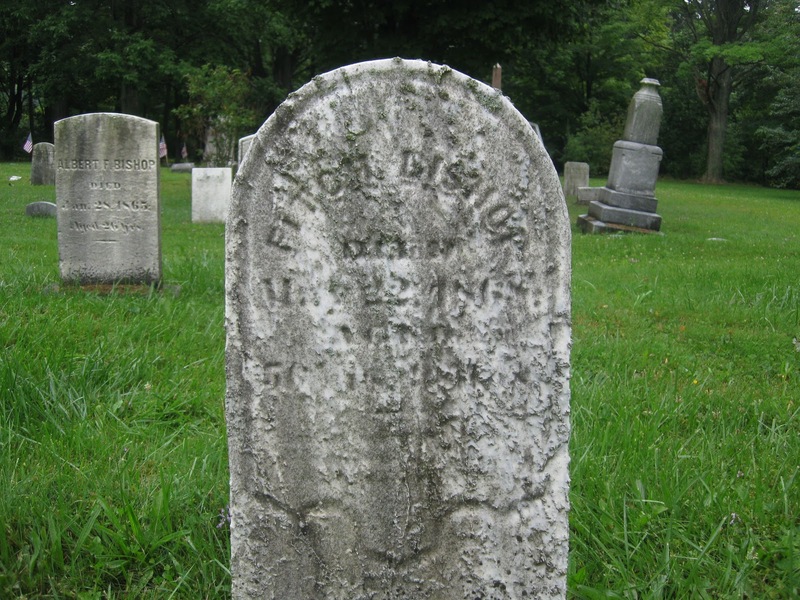 The Portage County Democrat reported only, “In Freedom, on the 22d of May, ult., of heart disease, after a few days illness, Mr. Fitch Bishop, aged 57 years.” A grieving Sarah had to make funeral arrangements and prepare for another trip to Freedom West Cemetery, where she had already laid two sons and a granddaughter to rest. I feel fortunate to have such a variety of records to draw on regarding the end of Fitch’s life, sad as it was. What I wouldn’t give for just one to tell me about his beginnings! 1. Portage County Genealogical Society, compiler, Portage County, Ohio Cemeteries, Volume IV: Freedom Township and Windham Township (Ravenna, Ohio: the society, 1993), p. 90-91. 2. 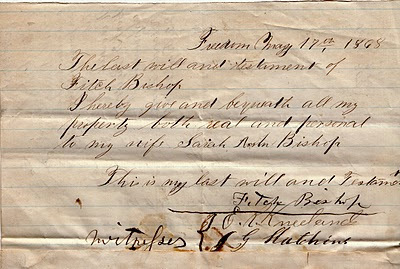 Sarah Ann Barnum Bishop, Pocket Diary 1873, entries for May 17 and May 19. This diary passed from Theodore H. Bishop to Annah L. Bishop to Robert F. Bishop; privately held by Shelley Bishop. 3. 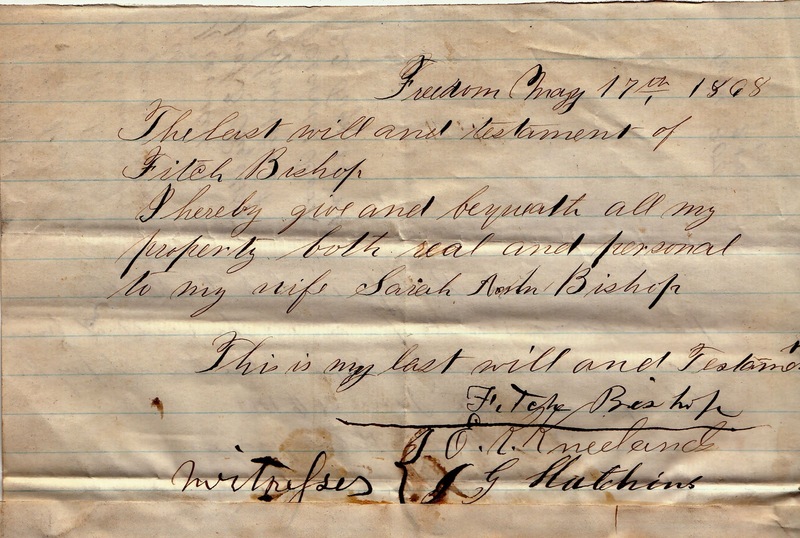 Portage County, Ohio, probate file 2108 (loose papers), Fitch Bishop, Portage County Historical Society, Ravenna. 4. Fitch Bishop obituary, Portage County Democrat (Ravenna, Ohio), 3 June 1868, p. 2 col. 8.